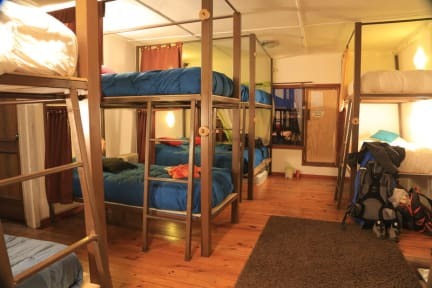 Mamahostels is a beautidul hostel. 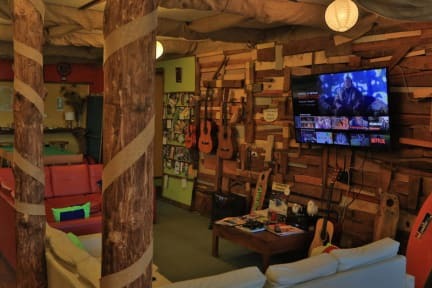 In addition to the spacious accommodations and varied entertainments that will make your stay as comfortable as possible, the owners’ special attendance is guaranteed to make you feel at home. Mamahostels is located in the city of Puerto Varas, Los Lagos region, gateway to the Chilean Patagonia, where you can enjoy the natural wonders of our austral south. The destination has a unique natural beauty, which comes from the rainy humid weather. The imposing Lake Llanquihue (third largest lake in South America) is known for being especially conducive to water sports such as wind surfing, kayaking, fishing, water skiing, Stand up paddle, etc. Our city is also the gateway to the Vicente Pérez Rosales National Park, where the grand Osorno Volcano, our special landmark, is located. So is Lake All the Saints, which gives life to the great river Petrohue, a popular destination, seeing as it is ideal for water sports such as rafting, kayaking and fly-fishing. What´s more, the world famous Petrohue Falls are sufficient to make the visitor feel at one with nature. We have a dorm for 13 people fully equipped with all the necessary elements to bring the very best experience to our guests and travellers within our facilities. In addition, we have several common areas where the guests and travellers will be able to exchange experiences and future plans. It is possible to be exonerated from this tax fee if you aren't a Chilean citizen or a resident in Chile for more than 60 days within the year. To be waived from the tax fee you need to hand in at the check in moment your passport. Breakfast not included - 3.500 CLP per person per day.